Reserved Tables and Tickets are SOLD OUT! 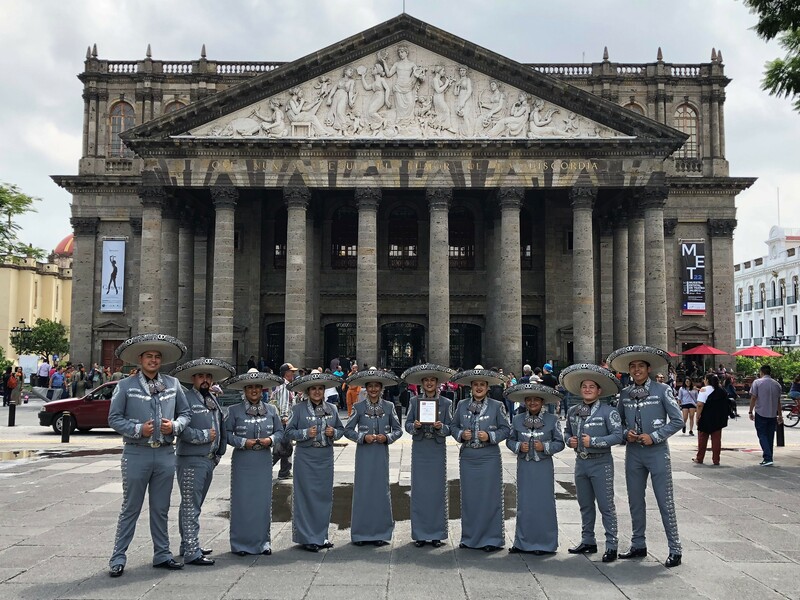 Join Us on May 18, 2019 for the Fifteenth Annual Battle of the Mariachis! 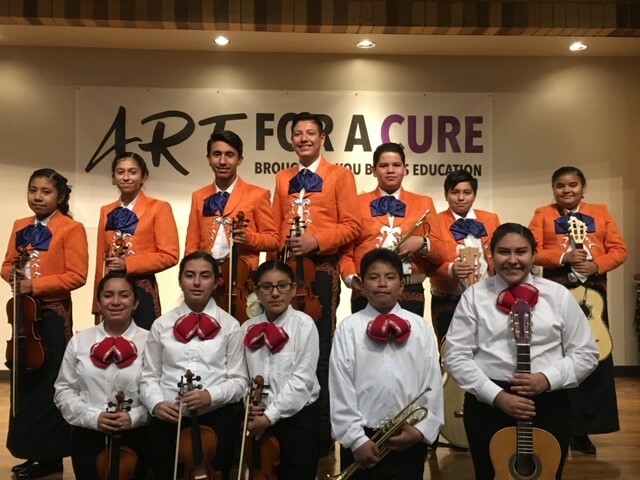 Mission San Juan Capistrano, with the generous support of the Thomas J. and Erma Jean Tracy Family Foundation, is proud to present the Fifteenth Annual Battle of the Mariachis Festival on Saturday, May 18, 2019 from 9:30 a.m. – 4:00 p.m. 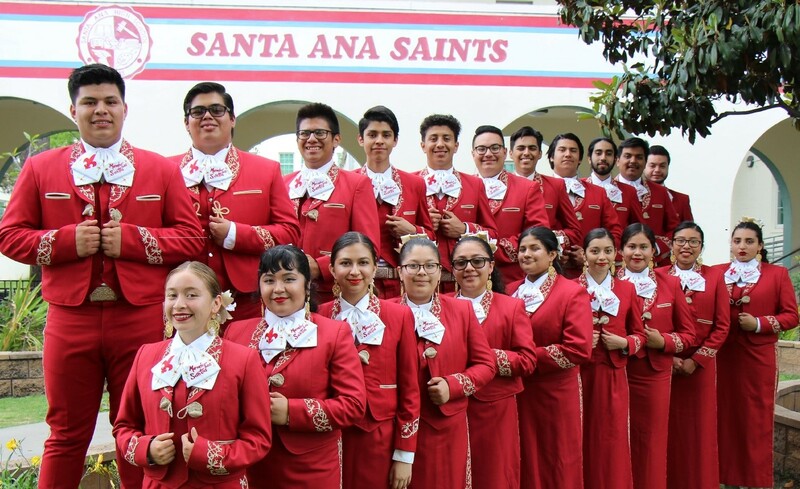 This exciting day featured live music performances by mariachi groups from across Southern California and beyond as they competed on stage for cash prizes before a panel of distinguished judges. 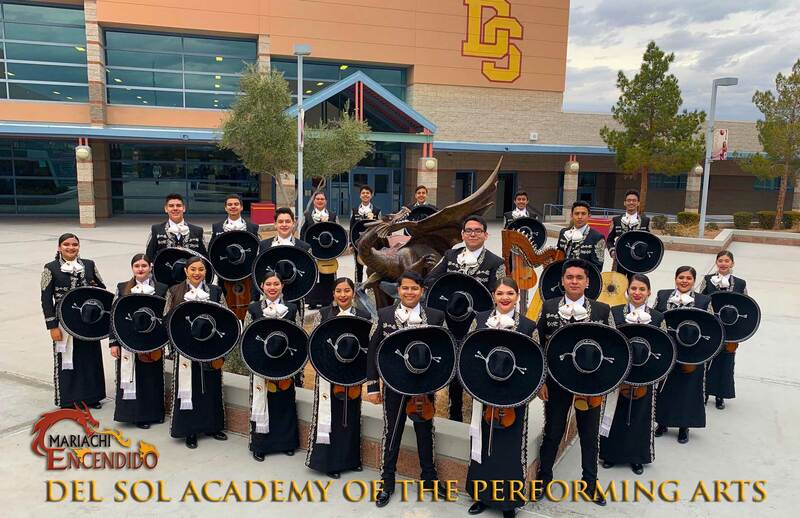 Festival highlights also included: ringing of the historic Mission bells, a special performance of the National Anthem and gourmet Mexican food vendors. 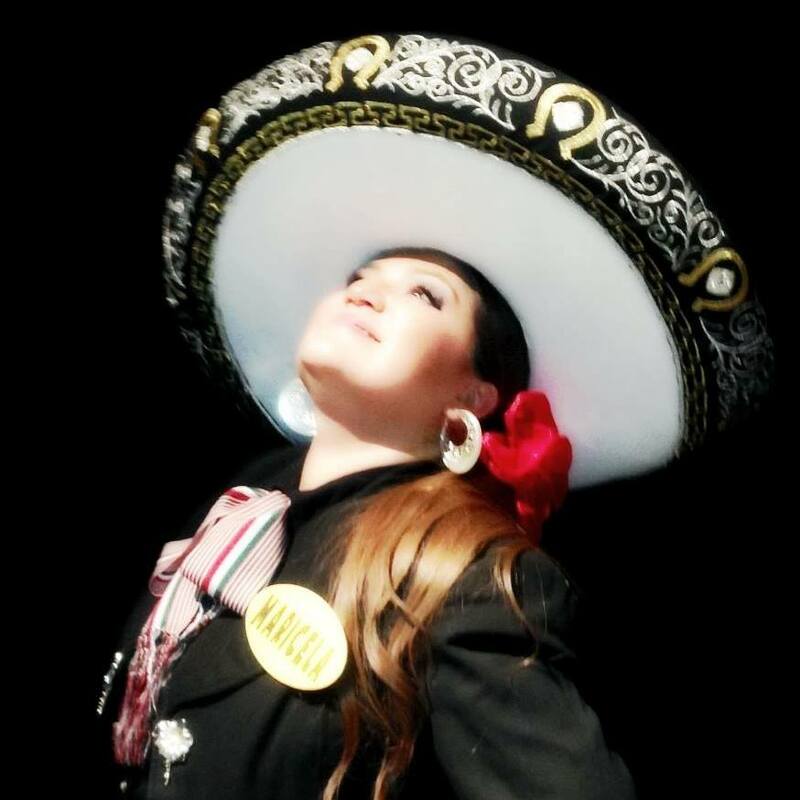 Fifteenth Annual Battle of the Mariachis Festival details coming soon! 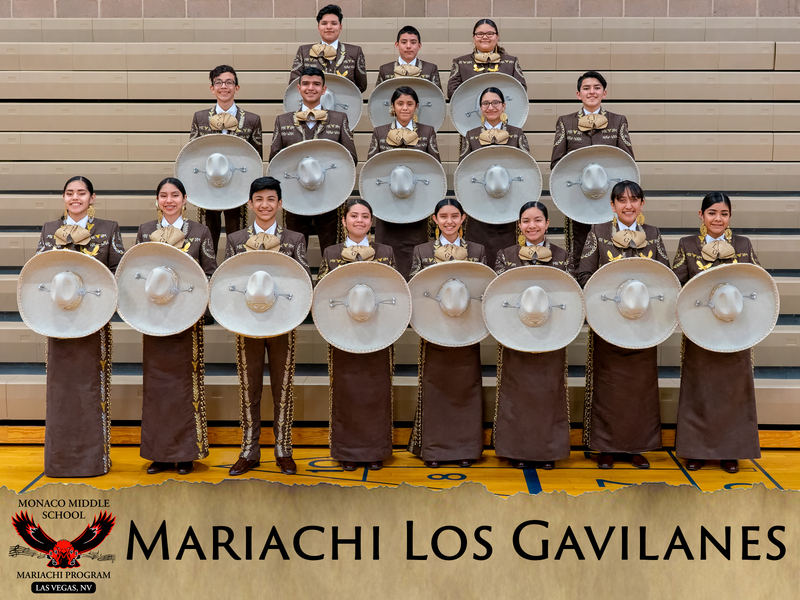 See links below for photos for the 2018 Battle of the Mariachis Festival. Photography courtesy of Val Westover and Tereza Harper Photography. 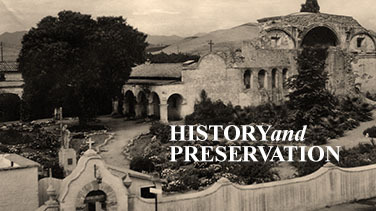 PLEASE NOTE: Mission Preservation Society Membership supports preservation of the historic Mission and are granted access to special on sale dates for tickets. However, availability of tables and tickets is not guaranteed. Tickets are limited and will sell out! Purchase early! Thank you for your support of Mission San Juan Capistrano! 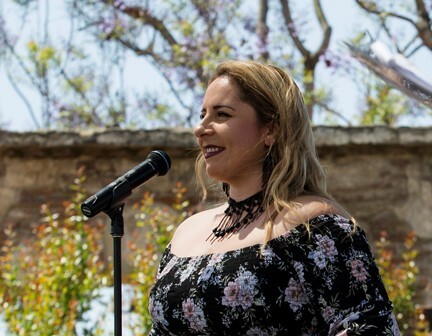 Gather friends, family or colleagues and enjoy a beautiful day of live music and great food together at historic Mission San Juan Capistrano by purchasing a reserved table to the Battle of the Mariachis. Whether celebrating Mother’s Day, another special occasion, or coming together to experience this unique musical event, your group is sure to share a special and memorable day together. With a reserved table, the cost of the table includes admission for each guest into the event for the day, and a guaranteed, reserved seat. Guests can purchase food at the excellent food vendors onsite or bring personal picnics. Alcohol is NOT permitted at the Battle of the Mariachis Festival. 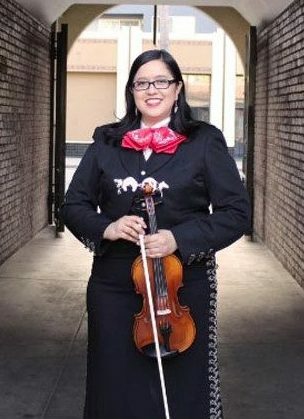 General admission tickets to the Battle of the Mariachis Festival include cost of admission into the event and to the Mission for the day. Mission Member General Admission Prices: $12 for Adults (ages 12-60) and $7 for children (ages 4-11). Non-Member Public General Admission Prices: $18 for Adults (ages 12-60) and $9 for children (ages 4-11). Mission Members receive exclusive access to discounted general admission tickets! In order to make lawn tickets accessible to as many Members as possible, Member tickets are limited! Members may purchase unlimited general admission tickets at full price. If you are planning to attend with a group, encourage a friend to become a Mission Member to receive access to discounted lawn tickets, too! General admission tickets do NOT include reserved seating. 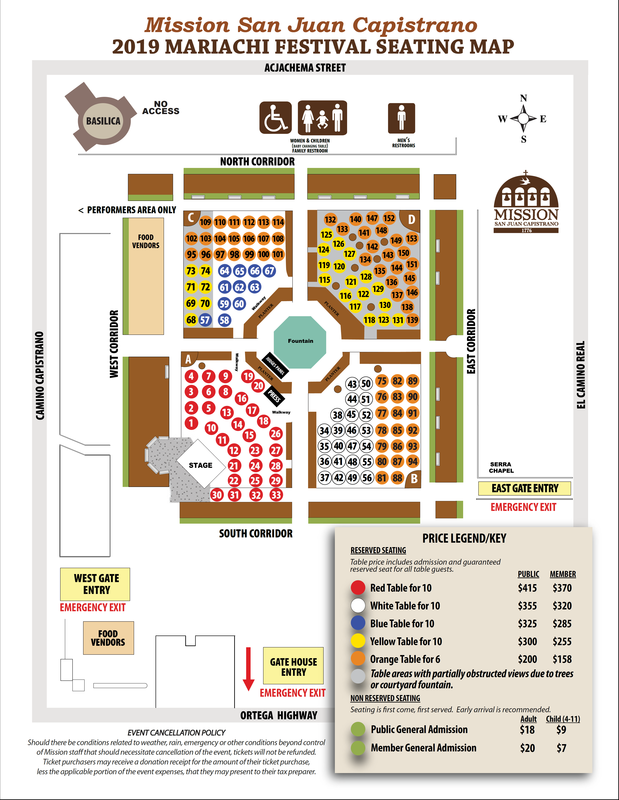 There is open seating provided throughout the Mission for General Admission ticket holders. Individual seats are available on a first come, first served. Early arrival is recommended to get a seat. In order to ensure the safety and comfort of our guests, tickets are limited and will not exceed Mission capacity. Once tickets are sold out, the Mission will be closed for regular admission and only event ticket holders are permitted entry. For maintaining a safe and accessible environment, outside chairs of any kind are NOT permitted. Ticket sales are final. 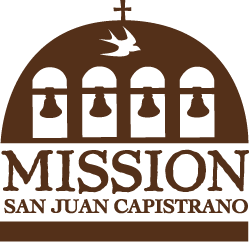 Mission San Juan Capistrano is a 501 (c)(3) non-profit organization. It requires immense effort and administration to process ticket orders. We are unable to accommodate refunds or exchanges. Thank you for your understanding. 1) Find someone you know to use and enjoy your tickets – a friend, neighbor or colleague. Sorry, we are unable to maintain a waiting list. 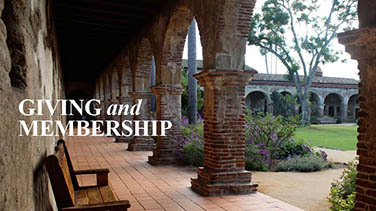 3) Donate your reserved table tickets back to Mission San Juan Capistrano. It will be used for fundraising purposes to support the historic Mission and you may receive a donation receipt to present to your tax preparer. Please donate your table back at least ONE week prior to the event date to allow sufficient time for proper arrangements to be made for use of the table. Should there be conditions related to weather, rain, emergency or other conditions beyond control of Mission staff that should necessitate cancellation of the event, tickets will not be refunded. Ticket purchasers may receive a donation receipt for the amount of their ticket purchase, less the applicable portion of the event expenses, that they may present to their tax preparer. Guests were encouraged to take advantage of these food vendors serving onsite at the event. Outside food, small cooler bags and small carrying coolers were also permissible. For safety and accessibility, large coolers and rolling coolers are NOT permitted. Please be aware: ALCOHOL IS PROHIBITED from being brought into, sold or consumed at the Battle of the Mariachis Festival. In order to maintain a safe and family-friendly environment for this special event held at a historic and religious landmark, alcohol is NOT permitted. The Battle of the Mariachis Festival ends around 4:00 p.m. Enjoy the evening or stay for the weekend in historic San Juan Capistrano! For dining, accommodations, and exploring in San Juan Capistrano before or after the Battle of the Mariachis Festival, check out our all our recommended destinations to dine, shop, stay and discover in the historic downtown. Learn more. 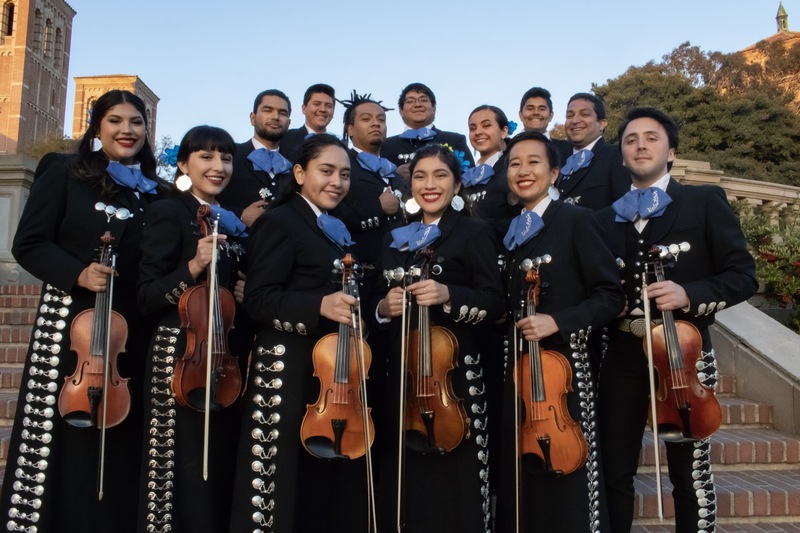 Take the train to San Juan Capistrano for the Battle of the Mariachis Festival! The train is a perfect way to arrive with ease and convenience to enjoy the day in San Juan Capistrano! The train station is located just two blocks from Mission San Juan Capistrano. Click the links to plan your trip. 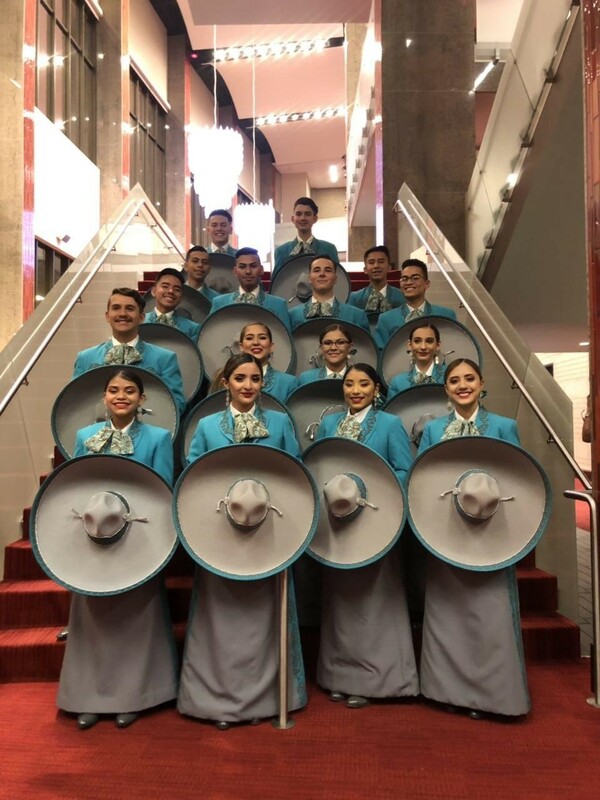 The Battle of the Mariachis is a one-of-a-kind performance opportunity for mariachi groups on a professional level stage and before a sold out audience and panel of distinguished judges. For participation details click here. To view the Performance List, CLICK HERE. 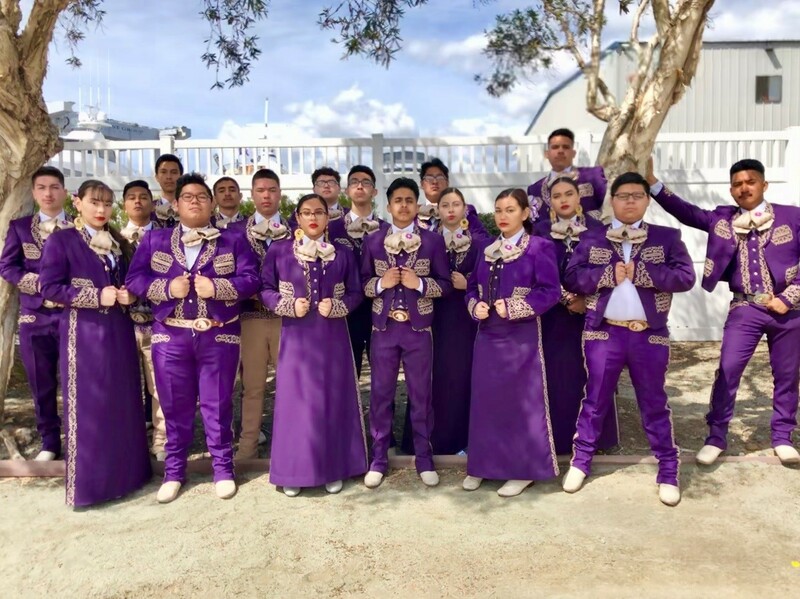 Mariachi Alma de Canon (North Las Vegas, NV) – Group Picture and Bio Coming Soon! 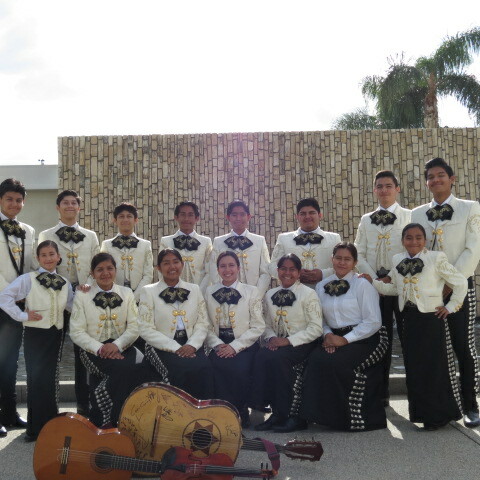 Mariachi Corazon de Tucson (Tucson, AZ) – Group Picture and Bio Coming Soon! 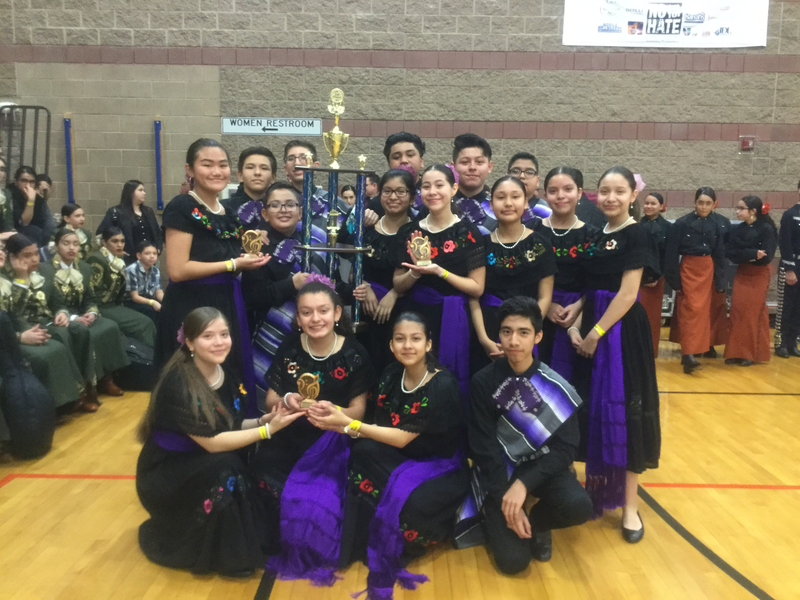 To view a list of award recipients from the Fourteenth Annual Battle of the Mariachis Festival, CLICK HERE. 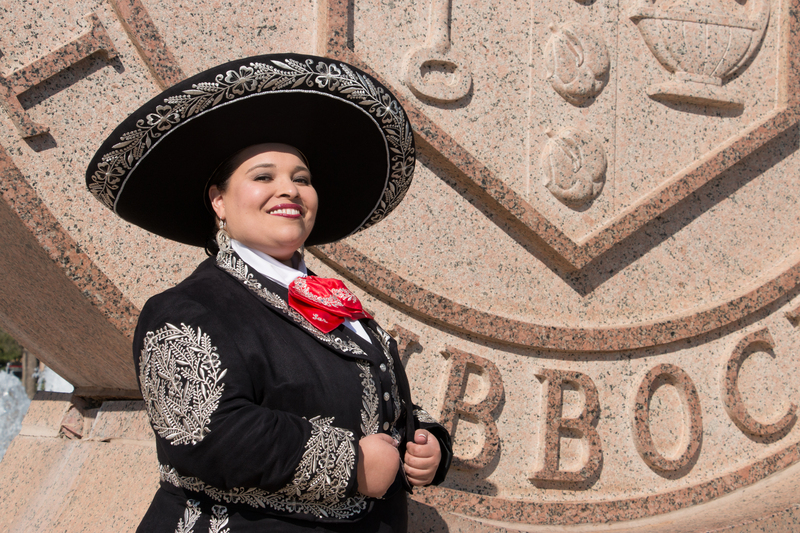 To view photos from the Fourteenth Annual Battle of the Mariachis Festival, CLICK HERE. Underwriting and sponsorships available for all events, for more information please contact the Events Department at (949) 234-1317.